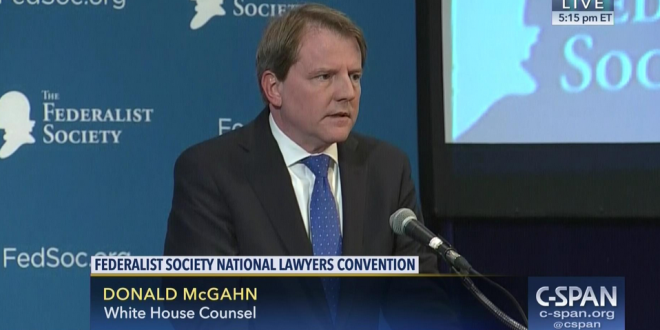 REPORT: WH Counsel Don McGahn To Exit This Fall - Joe.My.God. Top White House officials and sources close to White House counsel Don McGahn tell Axios that McGahn will step down this fall — after Brett Kavanaugh is confirmed to the Supreme Court, or after the midterms. That potentially puts a successor in charge of fielding a blizzard of requests or subpoenas for documents and testimony if Democrats win control of the House in the midterms. And if the White House winds up fighting special counsel Robert Mueller, an epic constitutional fight could lie ahead.